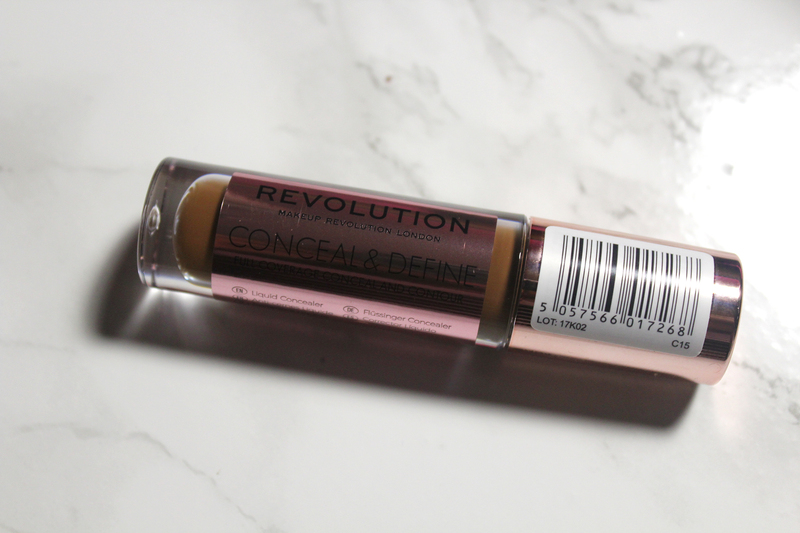 Revolution Beauty’s Conceal & Define range of concealers is a step in the right direction. It is “the concealer for everyone”. I cannot challenge or refute this bold claim, as I agree. I am also impressed as well as a fan. I am of a deep complexion so I have grown used to being disregarded. Dark skin women are often ignored by beauty brands, from skincare to cosmetics and even hair care, it feels as if we are invisible or not worthy of attention. Revolution Beauty’s extensive range of 25 shades is a refreshing sight; it is also welcomed as well as appreciated. Ranging from fair to deep, cool, neutral and warm undertones are catered to. 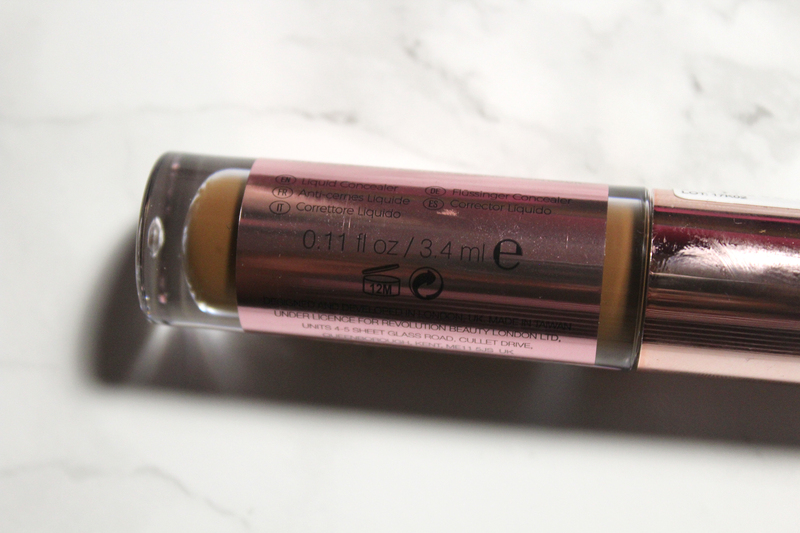 Formulated to provide lightweight but full coverage, Revolution Conceal & Define Concealer has a matte finish. An intense pigment diversifies the product; you can use it to conceal as well as to contour. I am no makeup artist or even an enthusiastic amateur. I was simply looking for something to conceal my oily eyelids for the days I choose to apply eyeshadow. 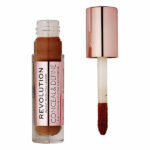 I purchased Revolution Conceal & Define Concealer C15 from Superdrug (£4.00 for 3.4ml). 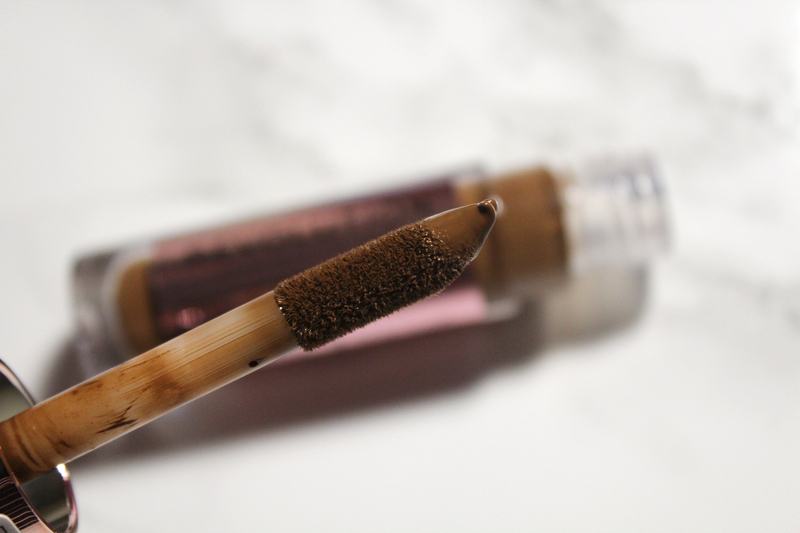 An affordable concealer, the shade C15 is for “dark skin tones with a red undertone”. To my surprise, it is a little too dark. It is also not too red, which I found a relief as I have a golden undertone. My arm (depicted in the swatch) is significantly lighter than my face but Revolution Conceal & Define Concealer C15 is only one shade too dark for my face. Still, it is the perfect shade for me in summer but I will definitely need to go one shade lighter during winter. This is a heartening change as the darkest colour in a range is usually too light. There are three shades darker than C15; this makes me happy! Overall, I am incredibly pleased. Revolution Conceal & Define Concealer C15 is phenomenal! It keeps my oily eyelids matte. I tend to apply makeup in the morning, around 8am. Come 9pm, my eyelids are still matte. Words can’t express how ecstatic this makes me. 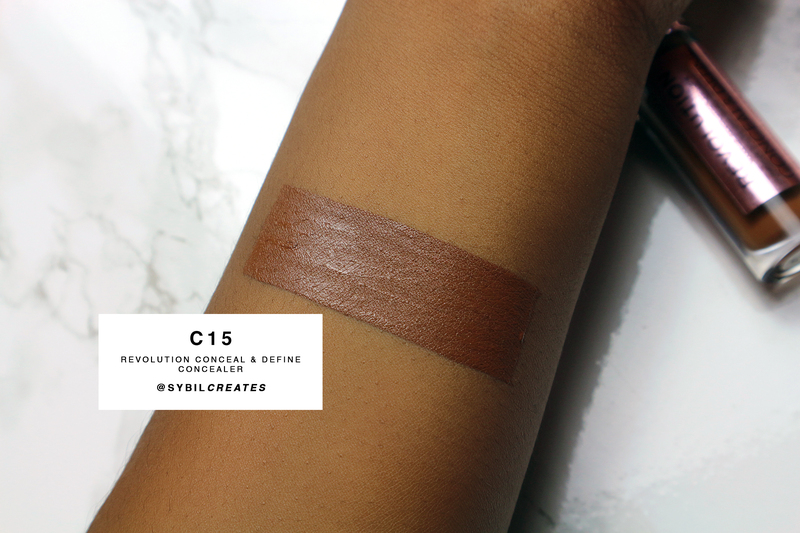 Oily eyelids are the bane of my life and Revolution Conceal & Define Concealer C15 is the only product to provide some relief. Trust me, I have tried so many products and remedies before discovering this gem! Although I prefer to blend with my fingers, I appreciate and use the large doe foot applicator. It makes application clean. What more can I say? I am in awe and I hope to purchase C14 as well as a darker shade (for contouring) in the future.